satisfying intimacy in their relationships. Timothy West has been in private practice in Marin County for over 25 years. His graduate degrees are from the University of California, Berkeley and the California Institute of Integral Studies in San Francisco. Specializing in couple therapy, Dr. West was one of the first two therapists certified in the Gottman Method in California and has trained personally with Sue Johnson in advanced Emotionally Focused Couple Therapy. In 2001, he founded the Couples Clinic of Marin, devoted to helping create healthy, committed relationships to benefit families, children, and the community at large. Dr. West is a two-time president of the Marin Chapter of Marriage and Family Therapists and was given its Outstanding Chapter Leader award in 2007. 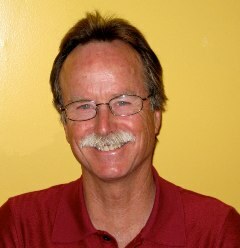 He has written several published articles on couple therapy and has taught and presented workshops throughout Northern California. He has been happily married for twenty-three years and understands the satisfactions and challenges that long-term, committed relationships can bring.